Time 4 U is a chance for you to take a little time for yourself in amongst your busy week. Mondays from 10am. Come along between 12.15 and 1.30 for a three course lunch which won’t break the bank, and an opportunity to meet your friends. The 2nd Sunday evening of the month we spend time worshipping and seeking God for our community. From 6.30pm. Every Wednesday between 12 and 2, drop-in, we’re here to help, whatever your circumstances. Sunday 14th April, Colin Baker leads our Palm Sunday all-age worship. A warm welcome awaits you at 10:30am. What would our community look like if we committed to pray for our neighbour, join us to pray for #100. 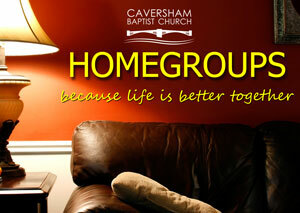 All the latest news for Caversham Baptist Church including the church notices for you to download and keep. Want to know a little more, then why not join one of our home groups, designed to reach, inspire and disciple. This week, Colin Baker continued our look at Nehemiah and taking care of business. For the talk please click here. Not sure about visiting and what to expect, here you can find out a bit more about us and what we do on a Sunday morning and during the week.